With Phil Ivey capturing bracelet #9 earlier in the series, the World Series of Poker Asia Pacific (WSOP APAC) tournament series was already going to be a memorable one, but the tournament organizers couldn’t have asked for a better ending than Daniel Negreanu winning his fifth WSOP bracelet, which he did by capturing the inaugural WSOP APAC Main Event. Negreanu nearly won bracelet #5 in the same event that Phil Ivey went on to win, but ended-up finishing in 4th place, so his WSOP APAC Main Event win must have felt doubly good for Negreanu who last won a WSOP bracelet back in 2008. Negreanu came into the final table on Monday with the second largest chip-stack, just behind German poker pro Benny Spindler. Rounding out the final table was 2012 WSOP October Niner Russell Thomas, Macau high-stakes regular Winifred Yu, and a quartet of Aussies, Daniel Marton, George Tsatsis, Kahle Burns, and Mikel Habb. Spindler came into the final table on a high note, taking over the chip-lead on the last hand of play on Sunday when he eliminated Antonio Esfandiari in 9th place. Unfortunately for the talented young German Monday was not his day, and Spindler lost chips early on and was eventually eliminated in a disappointing 6th place. With the elimination of Spindler, Negreanu held a massive chip lead over his four opponents and was never really challenged and started heads-up play with Daniel Marton as an overwhelming favorite, holding a 10-1 chip-lead. After a double, and nearly a second double that ended in a chopped pot, Negreanu put Marton away and claimed his fifth WSOP bracelet and his fourth seven-figure prize. For Negreanu the win represents just another feather in the cap of one of the greatest tournament poker players in the game’s history. Negreanu has amassed nearly $17.5 million in career tournament earnings and has two WPT titles to go along with his five WSOP bracelets. 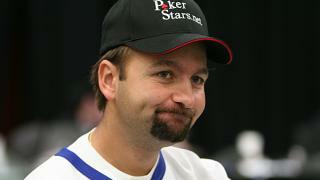 Negreanu also joins a very exclusive club of players with four or more seven-figure scores for his career. The WSOP APAC was an interesting undertaking and produced very mixed results. The opening event started the tournament series off with a flourish, as over 1,000 entrants took part in the “Accumulator” tournament. From there the remainder of the tournaments saw extremely small fields until the Main Event, which ended up drawing a respectable 405 players (about the same turnout as the WSOP Europe Main Event).